Thomas Knapp (Architecture, ’72) has spent 40 years in architecture, project management and construction management, including projects in Thailand, Saudi Arabia, the Philippines, the United Kingdom, the Marshall Islands, China, Curacao, Costa Rica, Peru and multiple locations in the U.S. He has now retired, although still consults on project management for the Presidio of San Francisco, Bechtel Corporation and UC San Francisco. Natalie Thomas (Architecture, ‘79) is a principal in the San Jose office of HMC Architects, where she has led their healthcare studio for the last ten years. Paul Woods (Architecture, ‘81) has been appointed District Architect for Sweetwater Union High School District following 7 years as Director of Planning and Construction. He is very thankful for a successful left lung transplant in June 2013 and for his lovely wife of 33 years, Sue. Christine (Aufdermaur) Kinsley (Dairy Science, ’91) has been a realtor since 2001. She was the 2015 Berkshire Hathaway Home Services-Drysdale Properties Realtor of the Year, with most units sold in the company in 2014. Bec McDorman (Business Administration, ‘11) has gone back to school for her master’s in nutrition at Cal Poly Pomona. She was selected to speak at ObesityHelp.com’s OH2015, a national conference held in October in Raleigh, N.C. She is the publicity chair for the Cal Poly Pomona Foods & Nutrition Forum, and the student liaison for the Academy of Nutrition & Dietetics. She was also elected the early career representative for the Bariatric Section of The Obesity Society. She has several internships, one with enquos, a digital health tracking system, and one at a bariatric surgery center as a nutrition counselor and support group facilitator. Harry Wolf (Electrical Engineering, ’29) at 106 years old, has lived a rich life. 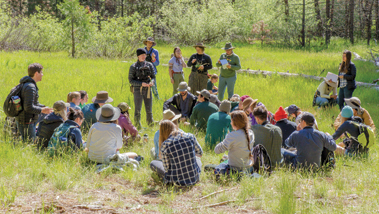 He was interviewed for an article in NAU’s Alumni magazine that describes his life. 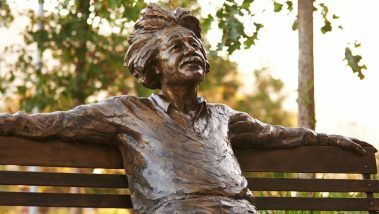 One of his achievements is starting the Electronics Engineering department at Cal Poly. 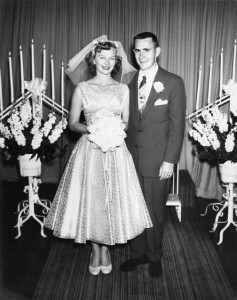 Ray Lovell (Aerospace Engineering, ’59) and his wife, Evelyn, recently celebrated their 60th anniversary. They went through college together and now have 4 children, 11 grandchildren and 18 great grandchildren. 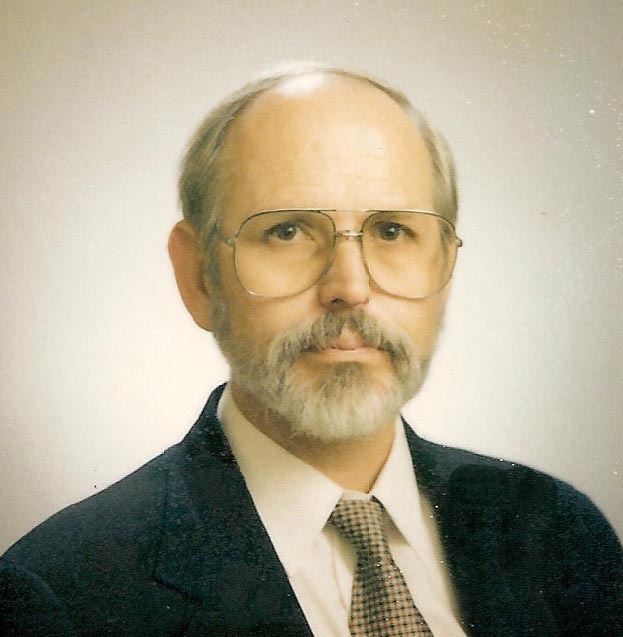 Benjamin Acojido (Mechanical Engineering, ’72) retired after a 43-year career in the power generation. 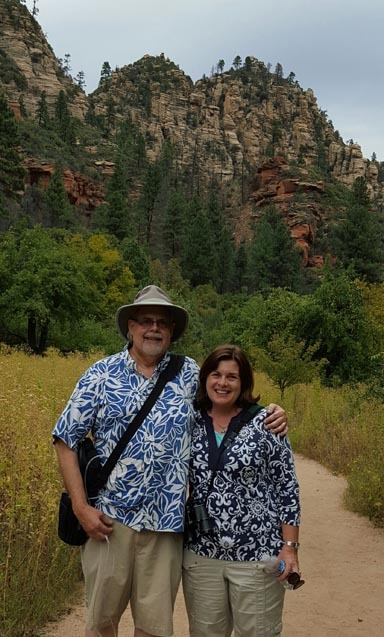 He moved to Fountain Hills, Ariz.
Mike Ciminera, (Electronics Engineering, ’75) finished designing and checking out a 3-channel X-Band 4-Watt SSPA for NASA’s MarCo Spacecraft launching in 2016. He then promptly went on an Alaskan cruise for his 25th wedding anniversary. Leslie Stepanek (Aeronautical Engineering ,’83) has returned to SLO from the Bay Area after graduating more than 32 years ago and retiring from the corporate world in January 2015. She is renting a fabulous little place downtown and walks to work at Bliss Cafe. “It is great to be back,” she wrote. Were you an editor with El Mustang or Mustang Daily? A KCPR DJ or manager? Mustang News, formerly Mustang Daily, El Mustang and the Polygram, will celebrate its 100th anniversary in 2016, and KCPR will be celebrating its golden anniversary in 2018. Events are currently in the works, and the department asks all alumni to make sure their email is updated in order to receive announcements and event details. 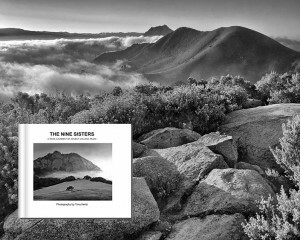 Tony Hertz (Journalism, ‘77) has just self-published a black and white photography book titled “The Nine Sisters.” The Nine Sisters are the ancient chain of volcanic peaks that stretch in a rare alignment of hills from San Luis Obispo to Morro Bay, California. The book comes in two versions: large deluxe landscape format hardbound coffee table book and a standard format hardbound and softcover edition. Andrew Dean (Political Science, ’05) joined the law firm of Patten, Wornom, Hatten & Diamonstein, L.C., located in Newport News, Va. Patten Wornom has been a leading firm in the state of Virginia for the last 50 years. Dean will practice in the firm’s business law and litigation practice groups. 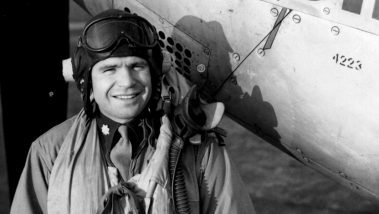 After graduating from Cal Poly, he flew F-18 Hornets in the U.S. Navy, then left active duty to attend law school in D.C. While there, Andrew worked for Senator John McCain on the Homeland Security and Government Affairs Committee. Andrew and his wife Katie are excited to live on the Virginia Peninsula and look forward to getting involved in their new community. Paradise Osorio (Applied Art and Design, ‘08) has a new position as project coordinator at Lawrence Fine Arts in South San Francisco, Calif., for transportation, crating, storage and installing art and antiques. Lawrence Fine Arts has been providing expert fine arts services to museums, galleries, and corporate and private collectors since 1984. Nicholas Sinclair (Political Science, ‘13) recently moved back to his hometown of Fresno, Calif., to take a position as the executive director of a non-profit organization, the American Principles Institute. 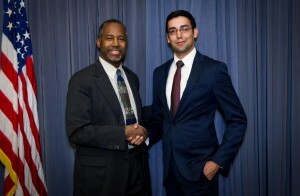 This April the organization brought presidential candidate Ben Carson to speak at one of its conferences. Mike Krukow (Physical Education, ‘73) was named California’s Sportscaster of the Year by the National Sportscasters and Sportswriters Association. After a record-setting collegiate career as a pitcher for Cal Poly Baseball, Krukow played in the MLB from 1977 to 1989, pitching for the Cubs, Phillies and Giants. 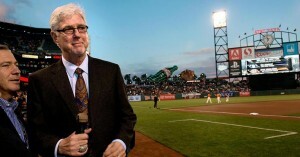 Krukow has been a radio and television color commentator for the San Francisco Giants for more than 20 years. A major supporter of Cal Poly and Mustang Athletics, Krukow lends his name to Krukow’s Klubhouse, a popular food and drink area at Baggett Stadium. Ron Henderson (Industrial Technology, ’79) wants you to know that he has nothing new going on. 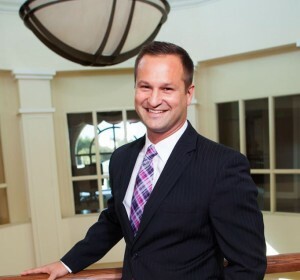 John Keith Palladino (Industrial Technology, ‘89) is an investment advisor representative with NFP Advisor Services, LLC in San Mateo, California. The firm focuses on retirement plan consulting, and John provides objective and unbiased advice to trustees, administrators and fiduciaries of qualified retirement plans. 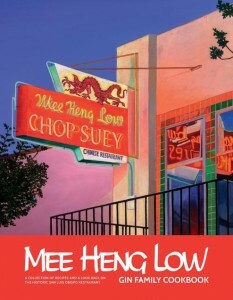 Michael Gin (Industrial Technology, ’90) is publishing “Mee Heng Low Gin Family Cookbook,” which celebrates the legacy of the iconic San Luis Obispo restaurant his family owned and operated from 1945 to 1988. 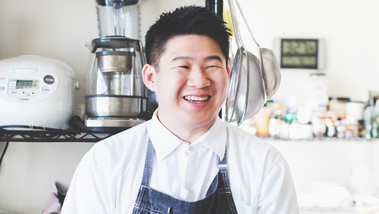 Gin began working on the book when his mother, Anna, began teaching the family her recipes following a frightening brush with leukemia. Gin will donate the proceeds from the sale of this cookbook to the Leukemia & Lymphoma Society. Saira Malik (Finance, ‘92), TIAA-CREF’s manager of global stock portfolios, was featured on the cover of Kiplinger’s in January 2016. Inside the issue, she shared her expertise on the European financial markets with investors looking forward to the new year. 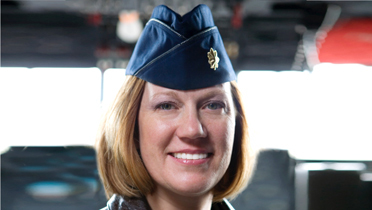 Erinn Taylor (Business Administration, ’01) is the vice president of technical sales at Focus Vision Worldwide. 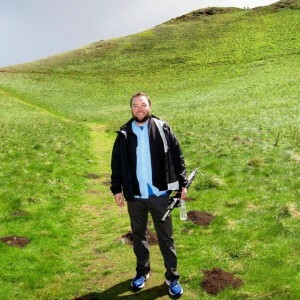 He was recently featured in an article in Survey Magazine about the critical importance of Big Data in market research. Joshua Burroughs (Business Administration, ’08) was recently named to the San Jose Downtown Association Board of Directors as well as the Rotary Club of San Jose Board of Directors. 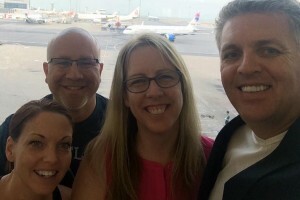 He lives with his wife, Melissa (Tucker) Burroughs (Business Administration, ’05) in downtown San José and they continue their support of the Wheelchair Foundation (Josh’s senior project at the Orfalea College of Business). To date they have been involved in fundraising for and delivering over 3,500 wheelchairs around the globe to those in need. Alejandra (Guzman) Alvarez (Business Administration, ‘09) married her high school sweetheart, Abraham Alvarez, on October 3 in San Diego. Leilani Struthers (International Business, ’11) and her husband, Kyle Struthers (BS & MS Biomedical Engineering, ‘11) met while attending Cal Poly. They were married this July 2015 at Shell Beach, the same place where they had their first date. They are also starting up the Cal Poly alumni chapter out in Austin, Texas. Mustangs Live, Work and Play in L.A.